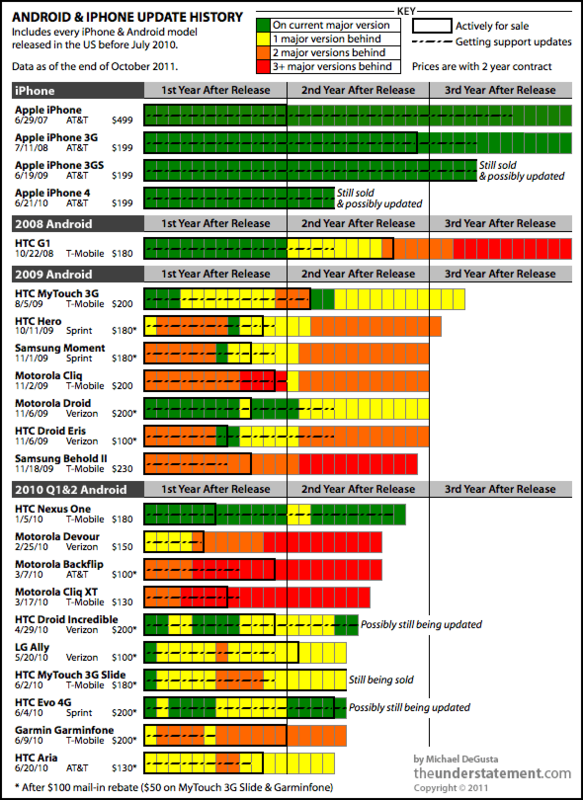 In other words, Apple's way of getting you to buy a new phone is to make you really happy with your current one, whereas apparently Android phone makers think they can get you to buy a new phone by making you really unhappy with your current one. 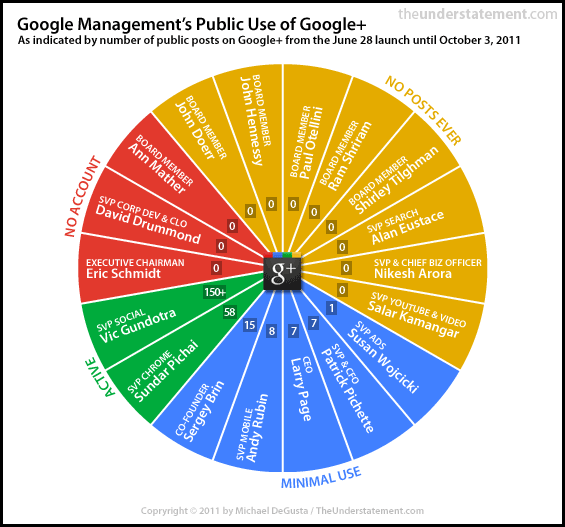 Only 3 of the 12 people listed on the Google Management Team page have ever made a single public post on Google+, totaling just 29 posts ever and only 6 in September. 3. "Steve Jobs was really active on Ping?" Ok, fair enough. But a music social network isn't even remotely fundamental to Apple's future whereas clearly Google thinks Google+ is central to its future. 4. "Google+ is really popular!" Yes, it seems to be off to a good start. But management being disconnected from the company's products bodes poorly for the long term - just ask HP. However, when Silk is run in cloud mode, it can off-load some of the the parts of the browsing and rendering process to EC2. In cloud mode, EC2 acts as a sort of cache plus proxy for browsing, and it also can dynamically take over parts of the page rendering pipeline from the client. Let's look at each of these features in turn. Right now, the only company that could conceivably match Silk is Google--there's no way Apple will get anything like this off the ground in the next two years. So the ball is in Google's court to get Chrome up-to-speed, assuming that the search giant wants to do this big of a fundamental rethink of its flagship client app.